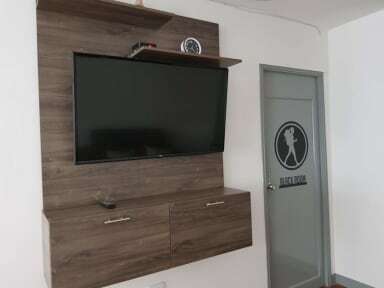 Backpackers Inn Medellin, Medellin, Kolumbia : Rezerwuj teraz! This hostel is more like a home than hostel. I arrived at 12, check in is at 3. Because I was traveling overnight, was exhausted. Diego offered me not only to check in earlier but also gave me a room where nobody was so I could get some sleep. Thank you. Atmosphere is very friendly and relaxed. Andrea was making sure that everyone feels good in there. Clean and good location.